The UK Government declares that it wants to keep or even expand the exchange with the European Union energy market after Brexit, but it might not get what it wants if the country leaves the EU without any deal in 2019. Gas and electricity will continue to be traded between UK and Europe, but the risks of shortages and higher costs for the UK and Ireland will grow and increase over time. The UK imports electricity and gas from the EU27 and the EEA. It also serves as a transit country for electricity and gas between Ireland and the EU26 (EU 27 minus Ireland), as well as a transit country for gas between Norway (an EEA country that is not an EU Member State) and the EU27. More than 80 percent of the value in EU27/UK electricity and gas trade in 2015 was for natural gas (some EUR 6 billion). In addition, the UK imported natural gas worth EUR 10 billion from Norway. As a member of the World Trade Organization (WTO), the UK will likely be granted the right to import and export energy free of tariffs from and to other WTO members. The EU has shown flexibility with respect to the rules governing the usage of electricity and gas interconnectors with third parties. Given their mutual interest, the UK and the EU can likely find arrangements that will keep energy exchanges. However, gas and electricity markets are complex service markets, not simple commodity markets, and the EU is in the process of streamlining the interface between national market designs to create a single energy market. The key question is hence whether the UK will remain part of the internal energy market, and what arrangements will be negotiated if it does not. As the internal energy market is based on a complex and dynamic set of enforceable rules, a stable set of institutions is needed to make it work. Hence, it is not conceivable that a country can participate in the internal energy market when it does not accept the powers of super-national institutions (e.g. ACER, ENTSO, the ROCs, and the European Commission) over its own energy system. A UK departure from the internal energy market would not imply an end to energy trading between the EU27 and the UK, although it would substantially reduce the sophistication of trading arrangements. As a result, we expect that trade gains from an internal market that jointly optimises the electricity systems (both in terms of dispatch and investments) in the UK and the EU27 will diminish. The effects will be asymmetrical. 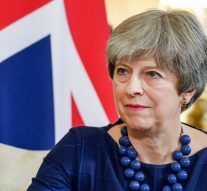 The UK will require costly domestic overcapacities to ensure system adequacy, if it cannot rely on the Continent for compensating domestic shortfalls. In addition, UK wholesale prices will increase and will become more volatile due to decreasing competition and falling liquidity. Similar but smaller effects can be expected on the EU26. In the event of a UK departure from the internal energy market, the EU should make sure that UK overcapacities (which are supported through mechanisms that are unavailable for market participants in the EU27) do not undermine investment or dispatch decisions in the EU27. Given that UK energy taxes are in practice not bound by the EU’s minimum energy taxation rules, Brexit is unlikely to have any direct impact on the UK’s energy taxes. A large number of European companies are active on the UK gas and electricity markets and hold significant market shares there. European energy companies might become exposed to regulatory changes in the UK energy market after Brexit. For instance, the UK would not necessarily be bound by EU state aid regulations after withdrawal (and WTO rules are less strict). Potential home bias of UK regulatory decisions and competition policy could pose another threat to EU companies. London is one of the most important trading hubs for electricity, gas, oil and emission rights in the world. The UK gas trading hub remains one of the largest and most important in Europe. However, continental gas trading hubs could gain market share because of the uniform regulatory environment safeguarded by the EU, together with the absence of currency risk. For the EU, it is important to ensure that UK energy traders active in the EU follow financial market and transparency rules at least as rigorous as those applicable to their EU counterparts. London as a venue for arbitration cases will most likely not be affected. This is a consequence of the New York Convention on the recognition and enforcement of foreign arbitral awards. For place-of-jurisdiction clauses, EU27 companies might decide to abandon London in favour of Continental competitors. Enforceability currently enshrined in the Brussels Convention will no longer be automatic, but it is not under threat. However, burdensome recognition procedures could increase the costs of enforcement of UK court rulings. For consumers, the biggest risk is steeper power and gas prices, and less reliable supplies during emergencies, such as cold snaps or unplanned outages. Indeed, closer energy ties make it faster and cheaper to send gas and power between countries, reducing prices and carbon emissions. However if the UK will respect the EU environmental regulations the British will have lower costs for energy and boost the competitiveness of its industry.